I’ve mentioned it before, but I can NOT follow a recipe as written. EVER. Recipes are so restricting to me. I love to use them as a guide and then let the creative juices flow! This pasta recipe is a prime example of that! When I first saw this recipe in July’s Magazine of the Month (who else went ALL day yesterday thinking it was July 31) I thought it looked so yummy. 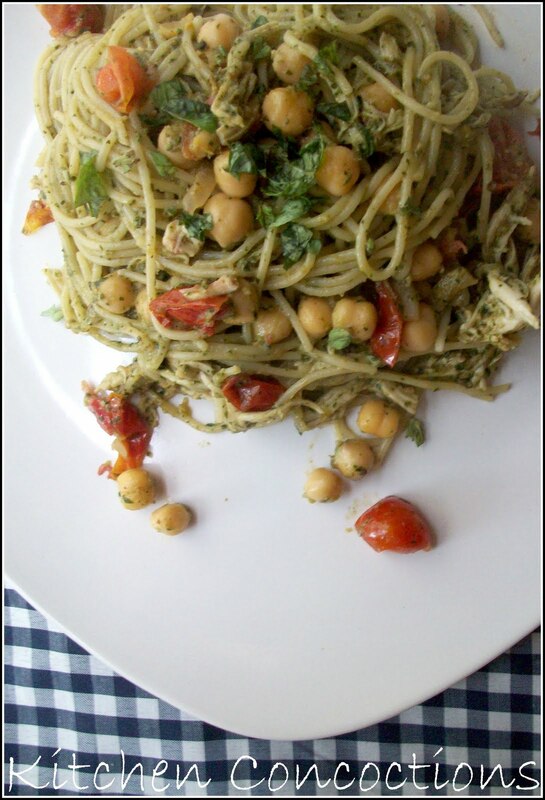 I love pretty much anything pesto and I thought that the addition of garbanzo beans was a fantastic addition to a traditional pasta dish. But that is pretty much all the original recipe was pasta, garbanzo beans, and canned tuna. Yummy but it still needed some umph! So using chicken, because that is what I had, and some fresh, local plump grape tomatoes, and tangy feta cheese this pasta went from delightful to one that I now crave regularly! A true sign of a winner! 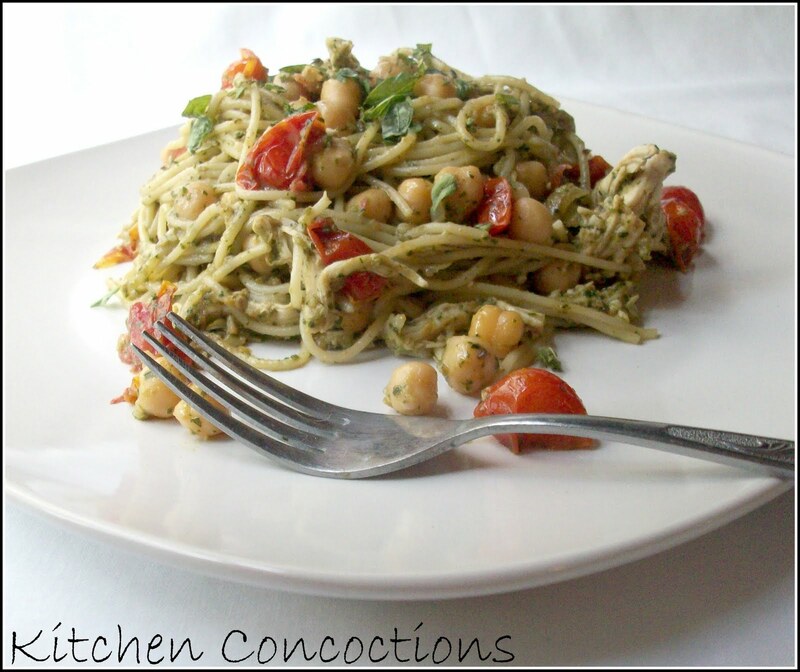 Note: This pasta dish would even be wonderful without the chicken as a flavorful and filling vegetarian option. Cook garlic clove in a skillet with olive oil for 1 minute. Stir in beans and tomatoes and cook for 1 to 2 minutes more. Add pesto and cooked chicken. Toss sauce mixture with prepared pasta. Serve hot or cold, topped with feta cheese.